A type of secondary containment, geomembranes are placed under the steel floors of bulk storage tanks. Here, the geomembrane functions as a protective barrier— between the tank and the fluid — that contains leakage and allows enhanced monitoring. Seaman Corporation manufactures several geomembranes for this application, which should be chosen based on the material stored in the tank. XR® Geomembranes tank floor liners excel in the harshest conditions and provide a wide range of benefits, including long-term flexibility, resistance to corrosion caused by harsh chemicals, superior protection against abrasion and punctures and compatibility with aromatic hydrocarbons. Liners can also extend the lifespan of an existing tank by reducing the risk of topside corrosion damage. 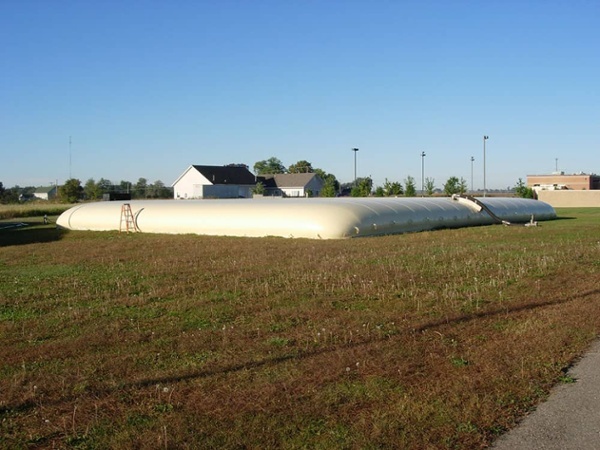 Contact us to learn more about our storage tank liners.